Every park is filled with fun for everyone, timeless favourites, fun for little ones and big thrills. Magic kingdom, Epcot,Disney-MGM studios and Disneys’ Animal Kingdom are all in easy reach off Interstate 4, which is literally minutes from the house. Home of a marine research and preservation centre with behind the scenes tours of the breeding, research and training areas. Star attractions are the killer whales and other sea creatures, plus new and exciting rides, acrobatic water skiers and a tropical rain forest. 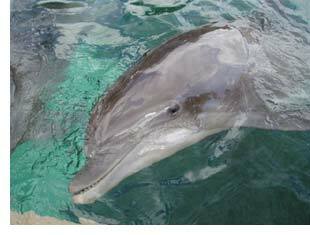 The completion of Discovery cove makes Seaworld the ultimate “ Florida experience”. Just take exit 71 off the Intersate 4, it couldn’t be easier. 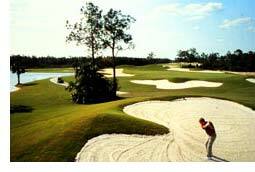 For 12 months of the year, the golfing enthusiast will find the golf courses in South Florida open and challenging. And from May through October the golf courses are never crowded, you can pick your tee time and be assured of a leisurely round. Also, many of the private courses are open to the public during these months. Designed by Greg Norman and home of the David Leadbetter Golf Academy An impressive American style course in the best traditions of modern U.S. golf course design. Golfers will long remember the memorable par 3 holes, awesome bunkering, and daunting tee shots. Definitely a treat for golfers who enjoy the opportunity to use every club in their bag and play every type of shot. The style of this unique course will be familiar to those who have played the great old courses of Scotland and Ireland. The International Course offers hard, fast fairways and bunkers that could have been shaped by the winds off the North Sea. Truly one of America's most distinctive golf challenges. It also boasts the highest course rating in the state of Florida at 76.3.